This Irish baby gift from Belleek is a china cup for a boy with an embossed bunny and blue accenting. The Belleek Irish baby cup for a boy was introduced in 2012. This cute Irish baby cup from Belleek China features a double sided design that features an embossed bunny along with blue ribbon accenting. 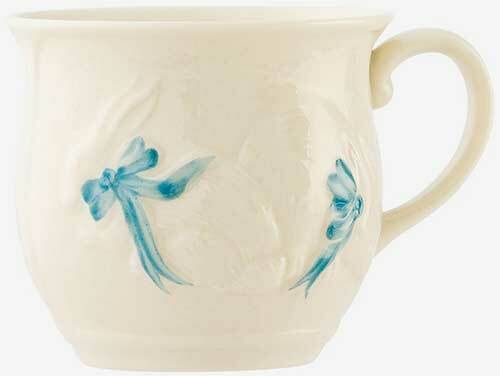 The Belleek baby boy cup measures 3 1/3" wide x 2 1/2" tall and it is hand crafted and hand painted in Belleek, Ireland.